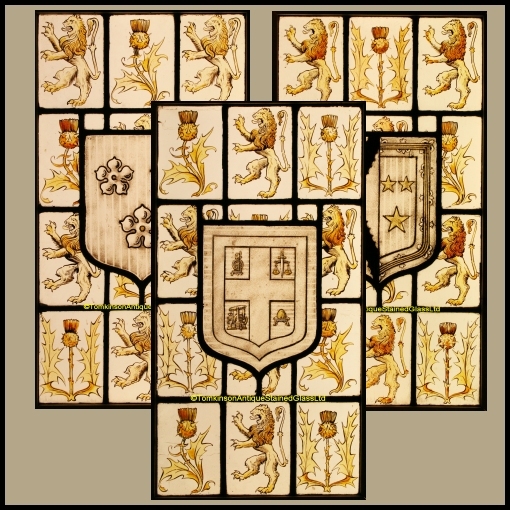 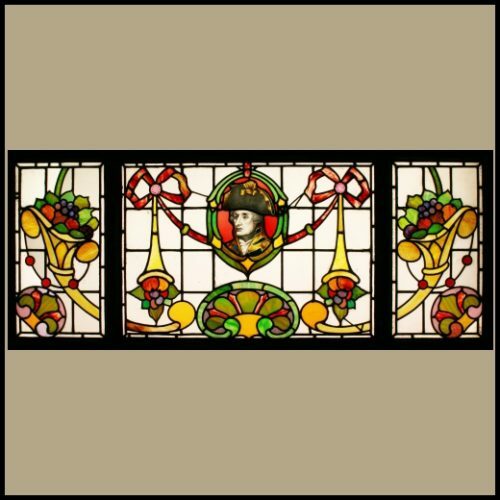 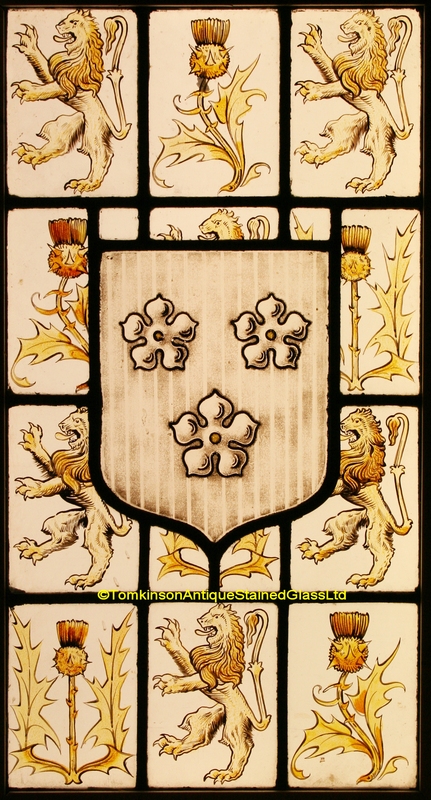 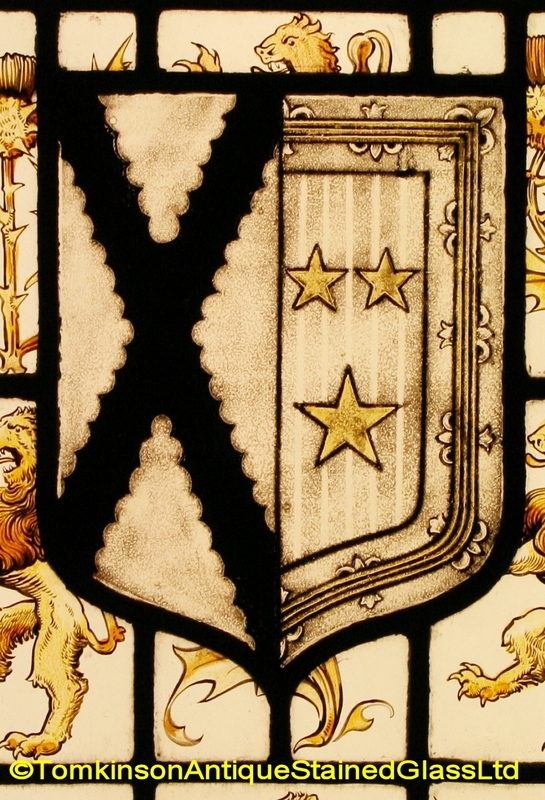 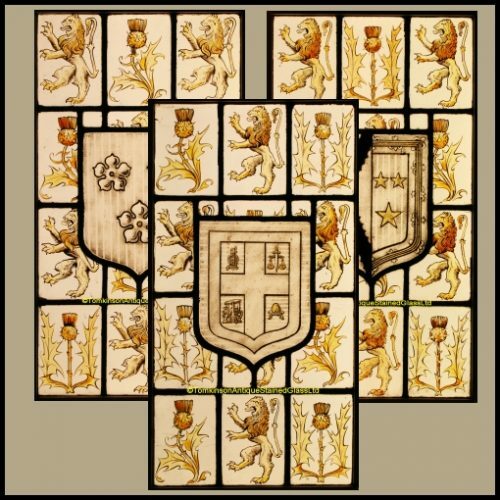 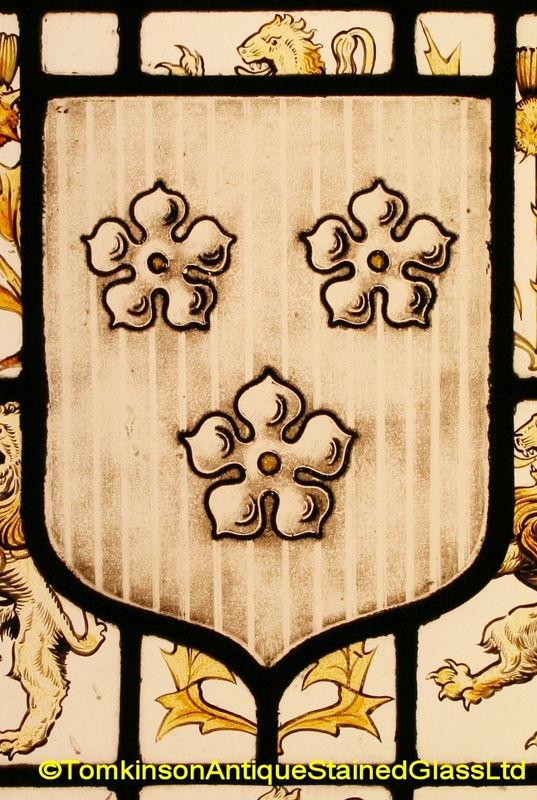 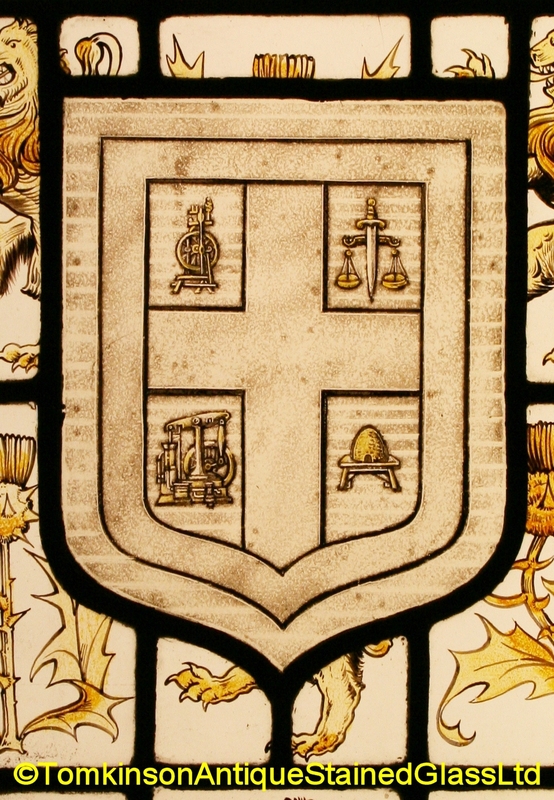 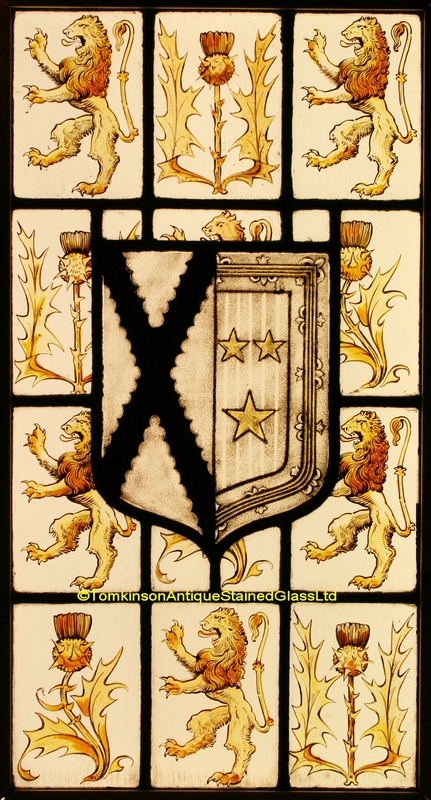 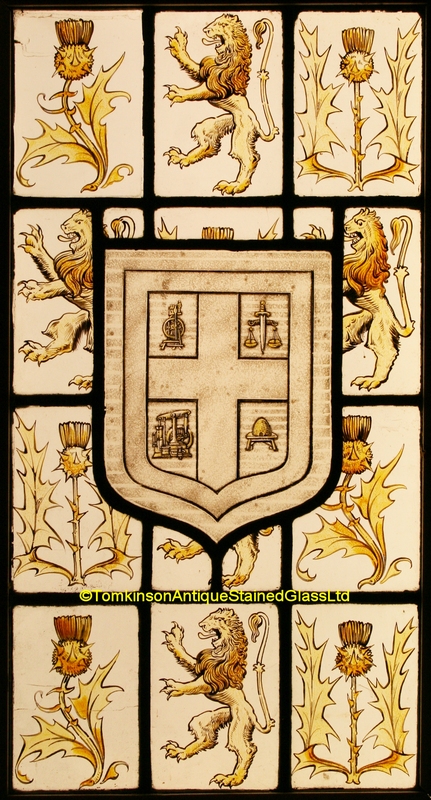 Three antique Edwardian stained glass windows, each leaded with central hand painted shields depicting coats of arms and surrounded by hand painted quarries of thistles and rampant Lions. 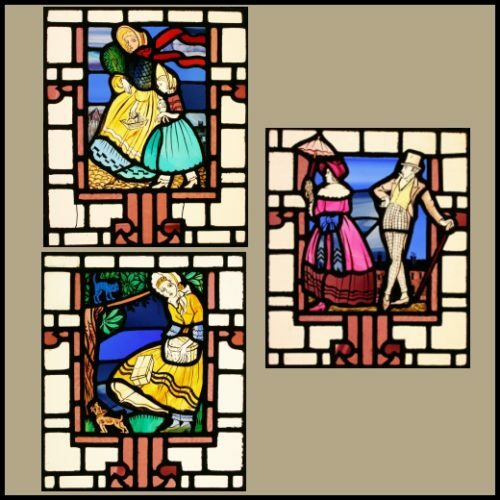 All hand painted on obscure “Cathedral” glass and in excellent original condition. 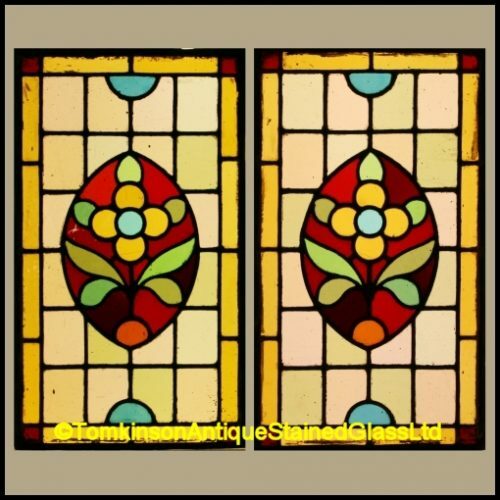 Can be sold separately. 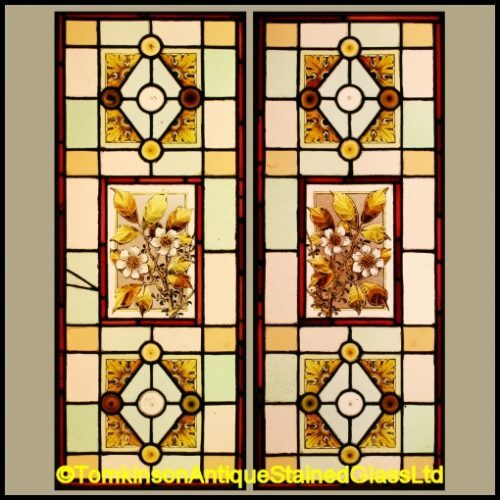 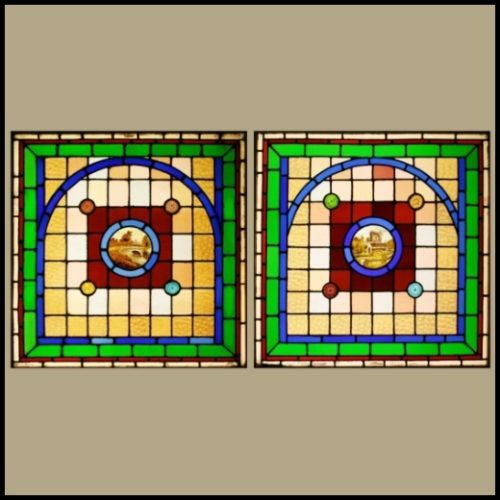 See Ed326 & Ed328 for similar windows but different sizes.